I hate to ruin your 60’s song nostalgia but, actually, that song is wrong for two reasons. 1. A lion isn’t the king of the jungle because they don’t live in jungles. No one is sure why jungles came to be associated with lions. 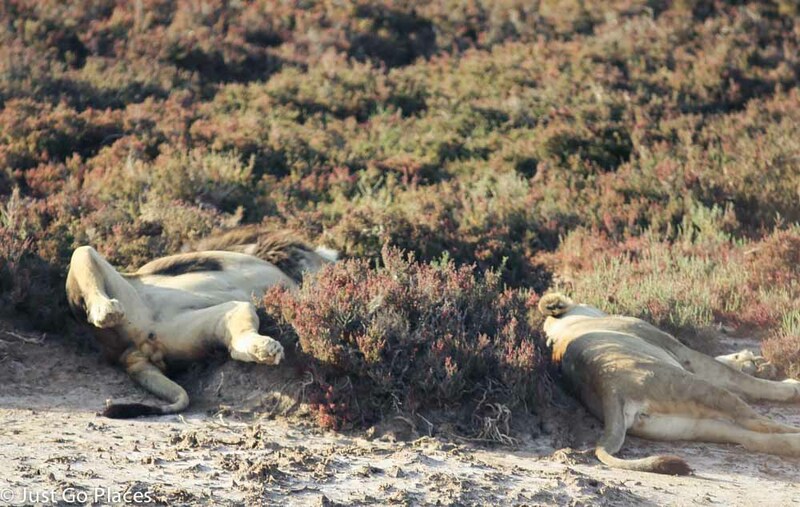 Lions like to live in grasslands, scrub country and plains. They use the vegetation to creep through the landscape and pounce on unsuspecting prey. 2. 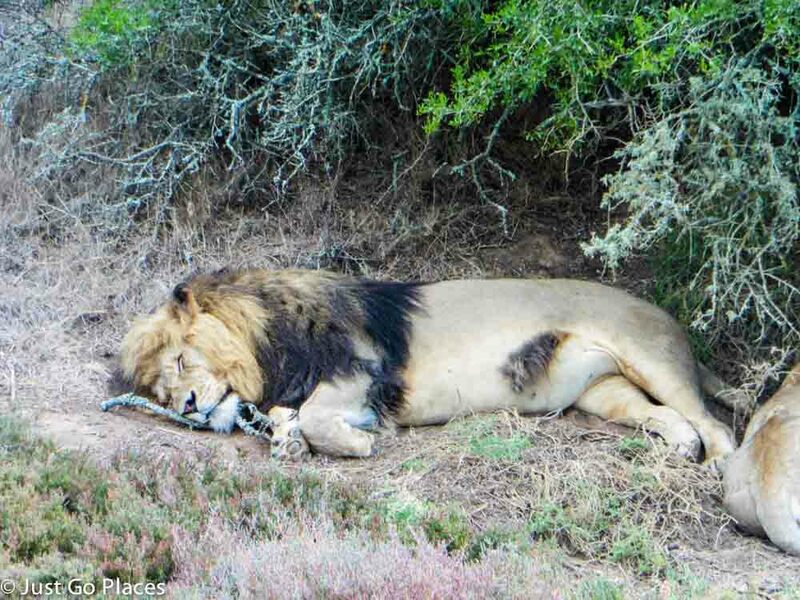 Lions primarily hunt at night and sleep during the day. Thanks to a safari in South Africa, I now know lots about lions. 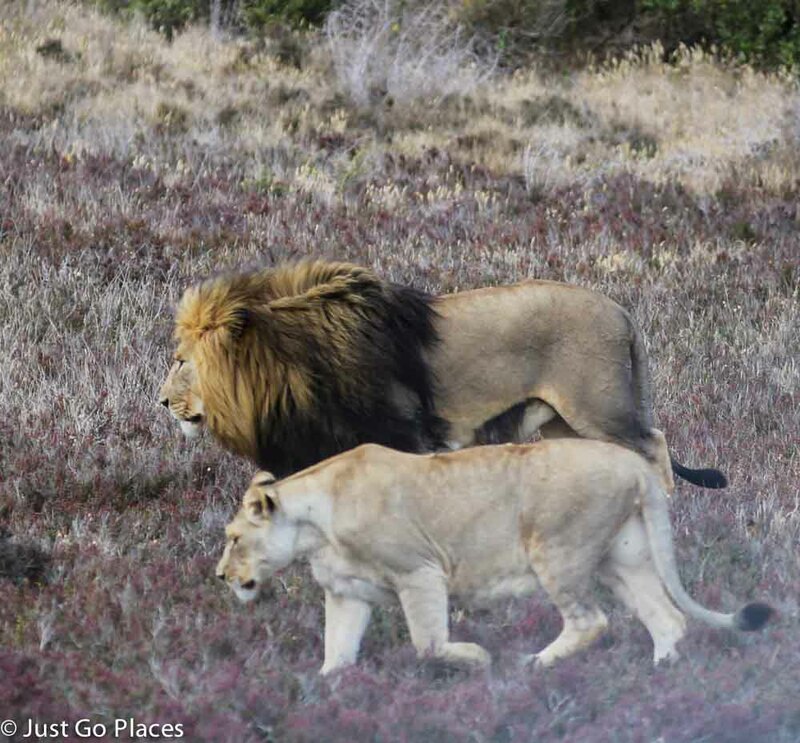 Although the rest of the Garden Route Game Lodge is an open safari, the lions we saw were in a separate enclosure. Our guide explained to us that lions are natural hunters who kill even if they are not hungry. 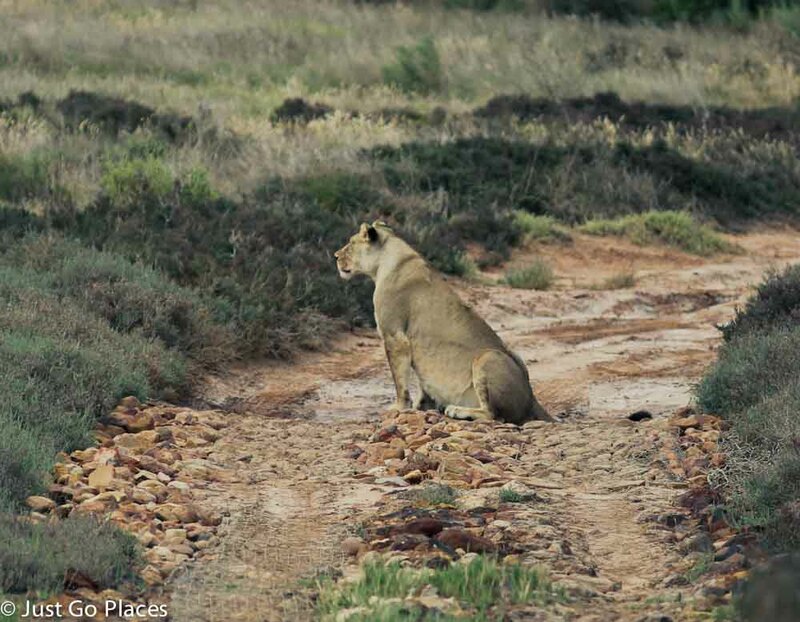 If the lions at the safari were let loose, they would need to replace yearly many of the other animals we saw such as the springbok, impala and zebra. On the plus side, we could see the lions every day and watch their behaviour. After having seen The Lion King a million times, my children could sit and watch actual lions. Mostly the lions slept but occasionally they would wander around. It was fascinating to watch the dynamic between the male lion and his little harem of three lionesses. There was clearly a Chief Wife who kept a wary eye on us. She was quite protective of the male lion. 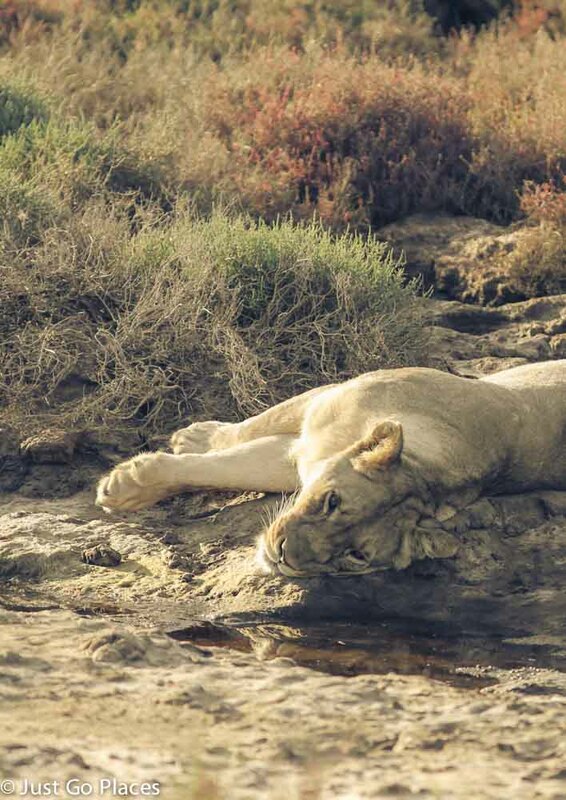 From what we could tell, she couldn’t care less how close our jeep got to the other lionesses. At one point, the one we called Chief Wife was clearly wary of us and moved up closer to the male. Our guide was very knowledgeable about lions. 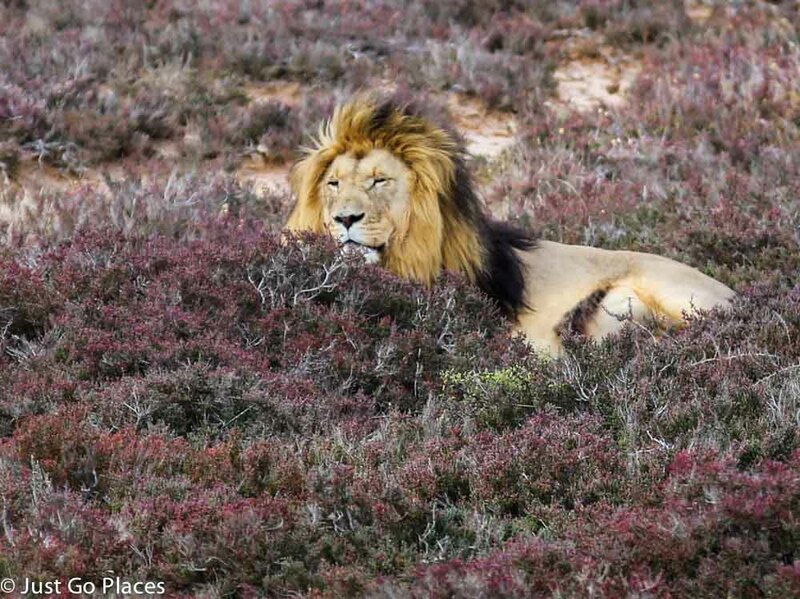 Did you know these 7 surprising facts about lions? 1. 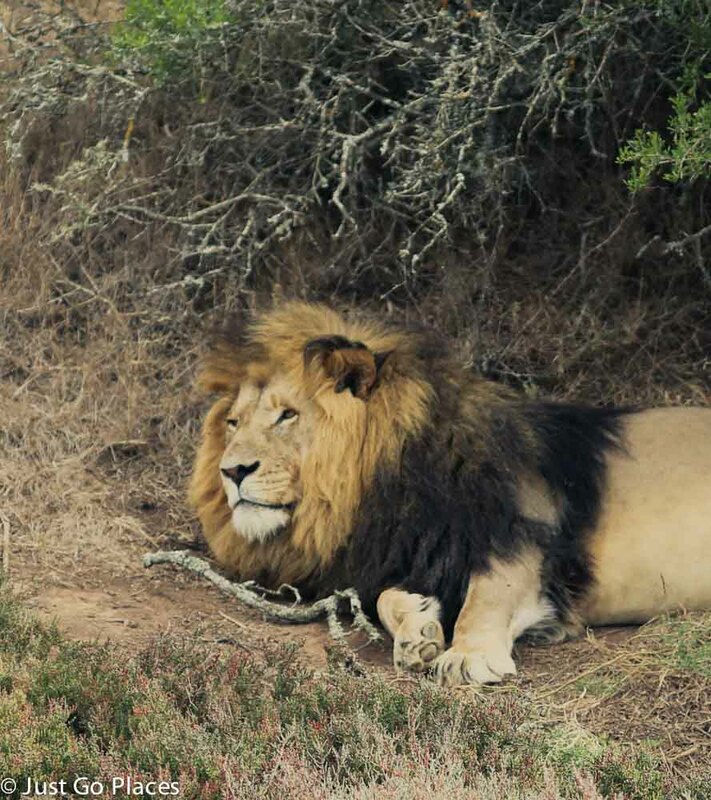 Male lions are not good hunters. All that mane gets in the way. The mane protects the lions though when the males get into a fight. A male lion only gets to keep his pride for 2-3 years before a stronger male lion comes along and takes over. Hence, they do a lot of fighting. 2. 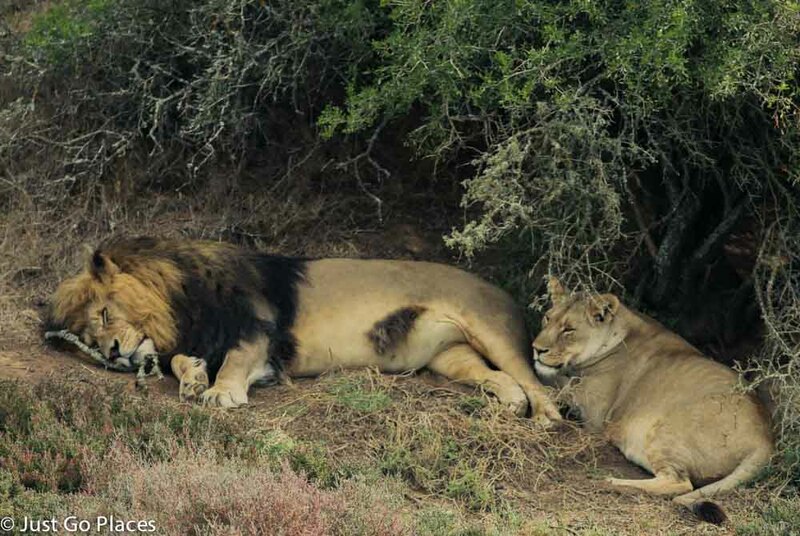 Male lions pretty much spend their time eating, sleeping and mating. If you add in beer and a sports channel on television, that would seem an ideal lifestyle for many men I know too. I think this lion could use a cigarette don’t you?! A lion ‘romp’ though doesn’t last very long (less than a minute) but they can ‘romp’ up to 40 times a day. No wonder the Chief Wife lets her man have a harem. 3. 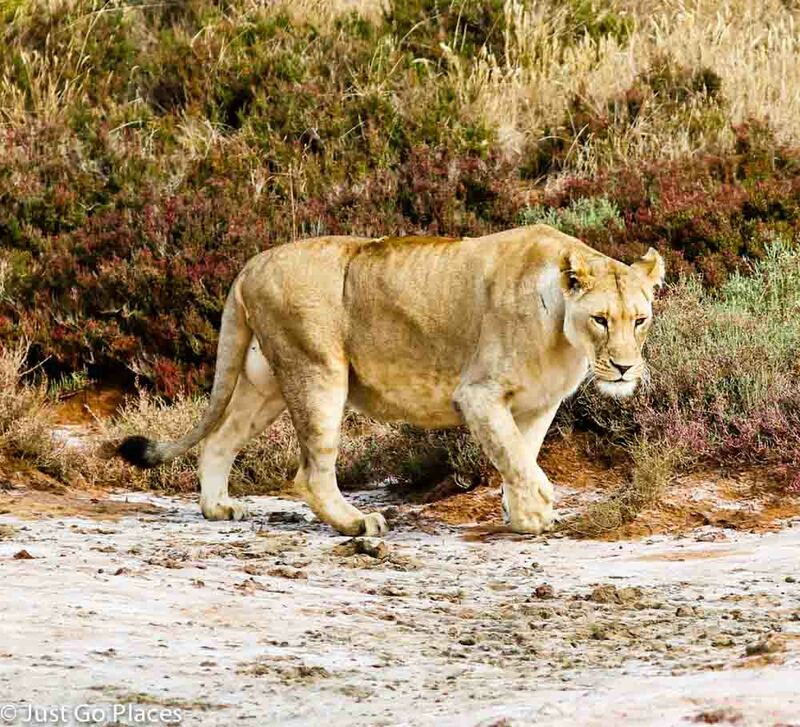 The female lions at Garden Route Game Lodge got yearly vaccinations to prevent pregnancy because any lions born in captivity would need to be sent to a zoo or a safari park with other captive lions. Captive lions can not be released into the wild because they lack hunting skills. 4. What do male lions do? They defend a pride’s territory. The male lion we saw on safari has the easiest job ever since his pride is the only one in the safari park and his territory is protected by a fence. 5. Although the females are the hunters, the male lion gets to eat first. 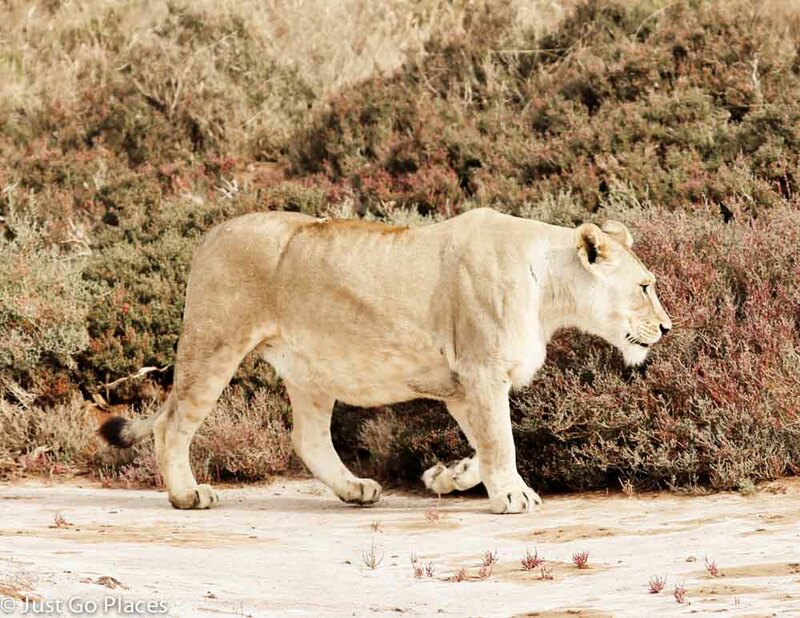 The lionesses also raise the children and teach them hunting skills. 6. A lion could sleep up to 20 hours a day. Although they look kind of sleepy and dopey, don’t be fooled. A lion can spring into action and run up to 50 miles per hour in short bursts. 7. You can tell a male lion’s age by the colour of their mane. The darker the mane, the older the lion. A lion in captivity can live up to 25 years presumably because they don’t have the stress of protecting their pride and their territory. My children were fascinated with this gentle introduction to Simba and his friends. Next time we are planning on a safari at a larger national park so that we can see a slightly less molly-coddled version of lions in the wild. 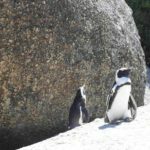 I have found some really useful tips for taking the kids on safari – such as keeping them interested with their own binoculars and alternating safari days so the early morning wake up calls aren’t so terrible. Especially with my children now moving onto the tween/teen morning slumber stage, I will found that advice particularly useful. We packed a lot into 3 days because a safari experience can be expensive. 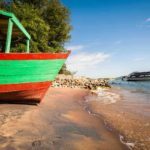 However, when you are travelling with children, perhaps 6 days would be a better option. After all what’s the point of a cool and expensive holiday if your family isn’t enjoying it?